At Fleur we like to keep things simple and our Fleur Unlimited Broadband is no exception. Is this the right broadband service for me? Accessible throughout almost every inch of the UK are the “classic” broadband networks. Transmitted down copper cables, there are two broadband services available offering varying downloads speeds – Simplicity Broadband and Simplicity+ Broadband. Our Simplicity Broadband service provides enough bandwidth to carry out those everyday online tasks, but is very much best-suited to the lighter internet user. Fleur Simplicity+ Broadband offers a significant improvement in speed. So if keeping in touch with friends and family is a key priority, you can comfortably video call, send and receive emails, as well as upload and download photos. And who are we to stand in your way? 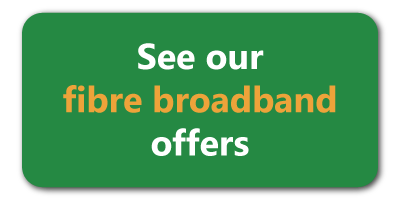 All our broadband packages come with unlimited downloads, so you can browse and download as much as you like, with peace of mind that you won’t get any surprise charges. Although you may not currently have access to faster services or fibre broadband in your area, with our unlimited broadband you can still reap the benefits of having a high quality internet connection. Fleur Unlimited Broadband is available with or without line rental. So if you already have a line rental provider that you are happy with that isn’t a problem, you can still be a Fleur Telecom customer. However, should you be interested in bundling your broadband with line rental and calls, go to our products to view our packages and reap the benefits of significant cost savings. Fleur Security Suite is our way of making sure that you can browse the web safely and confidently. Simply download it onto your device and place restrictions on the content that can be viewed, dispel distractions during homework time and protect your network from harmful websites. Fleur Security Suite is included in the price of all our 12-month line rental and broadband packages, or is available for £2 per month with 30-day contracts when you take line rental and broadband. Click here to read more about Fleur Security Suite. Interested in Fleur Unlimited Broadband? All our broadband services are subject to the acceptable usage terms outlined in paragraphs 22-25 of our Terms and Conditions. Click here to view our Broadband Cancellation Charges.